The Tamil Nadu government on Friday said people would be allowed to burst firecrackers between 6 am and 7 am and 7 pm and 8 pm on Diwali, in line with the Supreme Court directive. A government release also urged people of the state to burst crackers with low decibel and pollution levels. "Based on the Supreme Court verdict, the Tamil Nadu government permits bursting of crackers between 6 am and 7 am and 7 pm and 8 pm," the release said. Further, it asked the people to avoid bursting firecrackers near hospitals and places of worship. The Tamil Nadu Pollution Control Board would study the air quality seven days before and after the festival in all the corporation limits. On October 30, the state government had said it would consult stakeholders regarding the Supreme Court's decision of allowing the state to pick a two-hour slot for bursting firecrackers on Diwali. 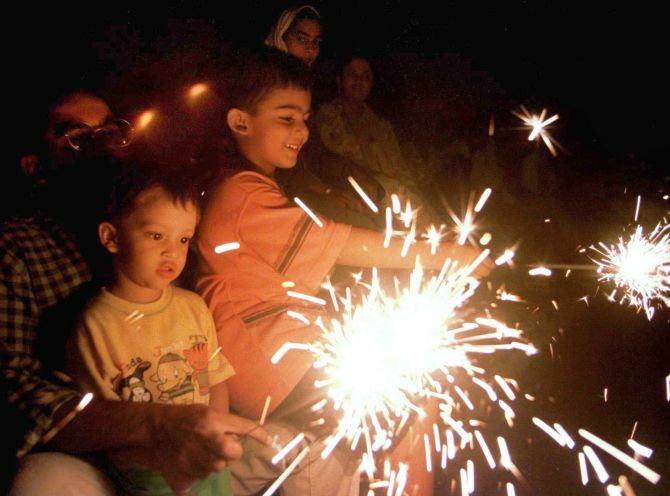 The apex court had modified its earlier order of fixing an 8-10 pm slot for bursting crackers on Diwali, saying the time would be changed in southern states like Tamil Nadu and Puducherry, but not exceed the two-hour duration. Diwali falls on November 6 in the state.